The Office of Sustainability is committed to the advancement of sustainable projects and solutions through local and national initiatives which conserve resources, protect the environment, advance sustainability and support current and future residents of the City of Chattanooga and the state of Tennessee. Discover the unique sustainability projects the city is involved with. Find out ways the city is keeping waste out of the landfill and how you can do your part! Find out how the city is ensuring equality in access to various electronic resources throughout Chattanooga. Find out how you can reduce your carbon footprint here in Chattanooga! 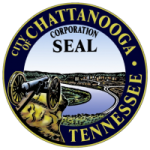 Find out methods the city is taking to reduce energy consumption in Chattanooga.